Save by bundling your flights and accommodations. Expedia has loads of outstanding Nordfjordeid travel packages that'll save you time and give you more cash to splurge! In a matter of minutes, you'll be able to sort out everything you need for your next trip via our enormous database. And — with more than 400 partner airlines and 321,000 properties from all around the world, you'll have the freedom to be fussy! There's no end to the number of exciting things you can do when you're in a new destination. So why not get your trip to Nordfjordeid off to the perfect start by checking out some of our recommendations? After all – out there starts here! Venturing out on the fairways is one of the best ways to stretch your legs and have a blast. Sharpen up your skills with a round at Nordfjord Golf Club. There's a wonderful range of things to keep you busy in and around this destination. If you'd like to find some spiritual enlightenment, call in to Nordfjordeid Church. You never know, you may even discover the answers to some of life's most mystifying questions! Still have some time on your hands? You don't need to know what mezzo-soprano or baritone mean to enjoy an evening out at the opera. Wear your best clothes and be enthralled by heart-stopping performances and emotive drama at Eid Opera House. Sadly, there aren't very many accommodations to select from in Nordfjordeid. The Scandic Nordfjord (Sandplassen 1) is the only Expedia-listed property close by. Situated 19 miles (31 km) away, Hovden Airport (HOV) is the nearest terminal to your destination. Check that your seat belt is buckled and make sure your seat is in the upright position — your well-earned trip to Nordfjordeid is about to begin! Located in the heart of Nordfjordeid, this spa hotel is within a 15-minute walk of Eid Opera House and Nordfjordeid Church. Nordfjord Golf Club is 1 mi (1.6 km) away. 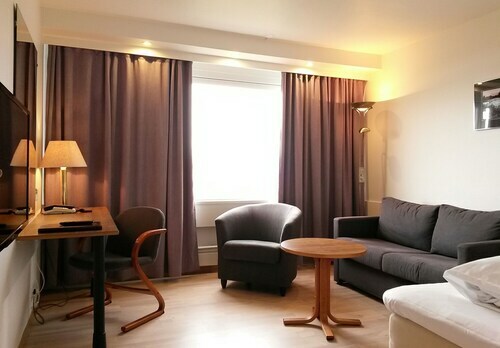 Situated in Nordfjordeid, this hotel is within a 15-minute walk of Eid Opera House and Nordfjordeid Church. 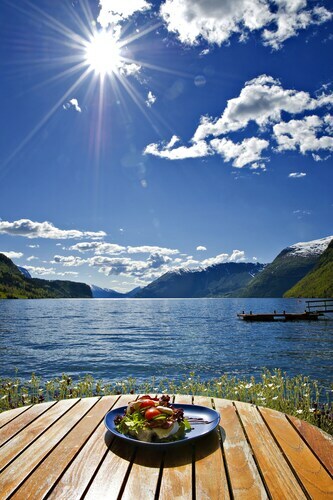 Nordfjord Golf Club is 0.8 mi (1.3 km) away. 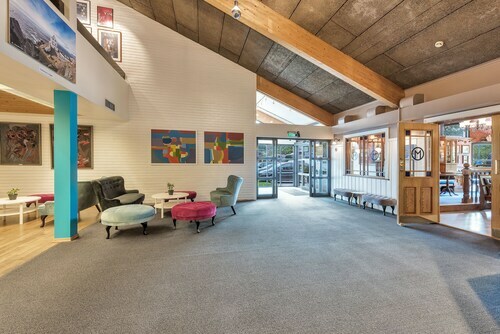 Situated in Nordfjordeid, this golf hotel is within a 15-minute walk of Eid Opera House and Nordfjordeid Church. Nordfjord Golf Club is 1.1 mi (1.8 km) away. 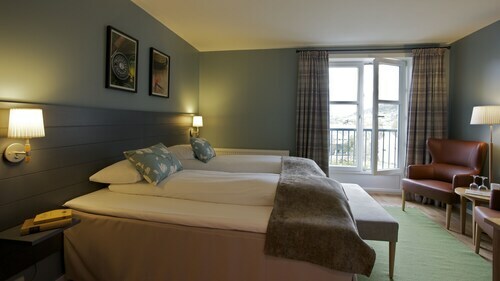 Situated in Sandane, this hotel is within 20 mi (32 km) of Eid Opera House, Nordfjordeid Church, and Nordfjord Golf Club. Jostedalsbreen National Park is 29.1 mi (46.8 km) away. 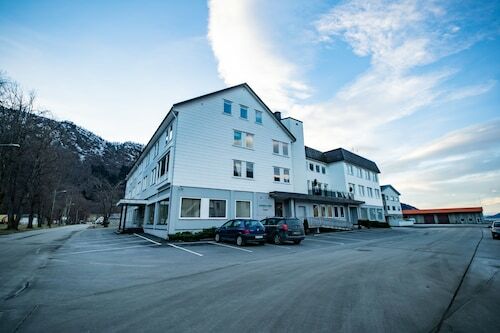 Located in the heart of Volda, this golf hotel is within 25 mi (40 km) of Saebo Marina, Saebo Church, and Ulstein Church. Hornindal Church and Anders Svor Museum are also within 25 mi (40 km). Located in the heart of Hornindal, this hotel is 0.2 mi (0.4 km) from Anders Svor Museum and within 25 mi (40 km) of Hellesylt Beach and Loen Skylift. Jostedalsbreen National Park Centre is 26.5 mi (42.6 km) away. Situated in a rural location, this guesthouse is 10.7 mi (17.3 km) from Selje Harbor. 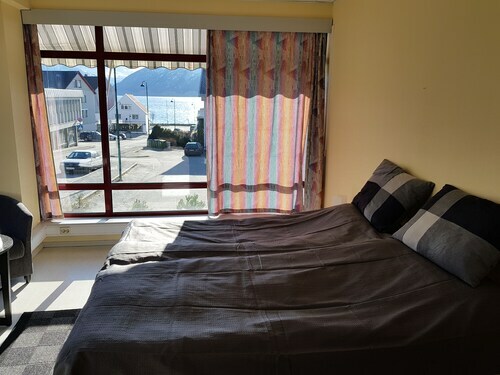 Located in the heart of Volda, this hostel is within 25 mi (40 km) of Saebo Marina, Saebo Church, and Ulstein Church. Hornindal Church and Anders Svor Museum are also within 25 mi (40 km).